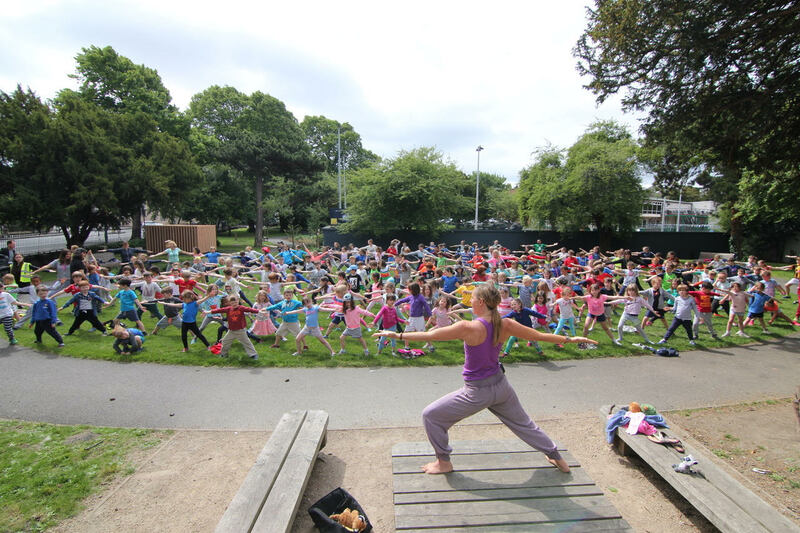 Thank you to Louise Horgan (Alannah – R1 and Joshua’s – R5 mum) who did a whole school yoga session with us at Sport for All Day last Friday. It was a really special part of the day which was enjoyed by all. 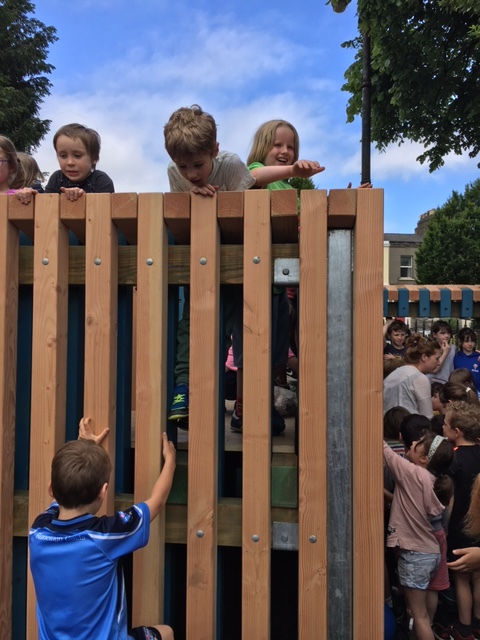 Following Sports for All Day we had another wonderful occasion – the official opening of the Linear Park play feature – the CAT-ONE. It is testament to what can be achieved when people work together! 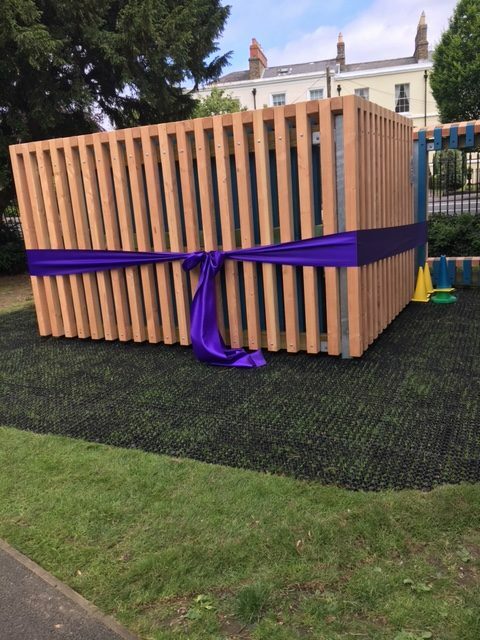 Thank you to the children of RMDS who believed this project could be carried to completion, to TTT – Thirty Three Trees (Maria Vlahos and Jimi Shields who are Sofia – R5 and Lena’s – R3 parents) for their vision, Tommy Kenny (Sara – R2 and Josh’s – R5 dad) who built the fort to impeccable standards, Mike Livio who painted it, DCC who worked with the school throughout the whole process and supported it financially, The BOM of RMDS who fundraised and supported the project to its completion, The PA and the parents of RMDS who again supported the project in so many ways but the final part being the fundraising event which occurred in the form of our very successful Read-A-Thon, Mountpleasant LTC ad Mount Pleasant Resident’s Association whose financial support was really appreciated and finally, to Joan Whelan – who drove the project and joined the dots between everyone! End of Year Reports will be put in the post tomorrow. If you do not receive your child’s report by Tuesday, please contact the office. If you have any queries, please contact the class teacher in the first instance. 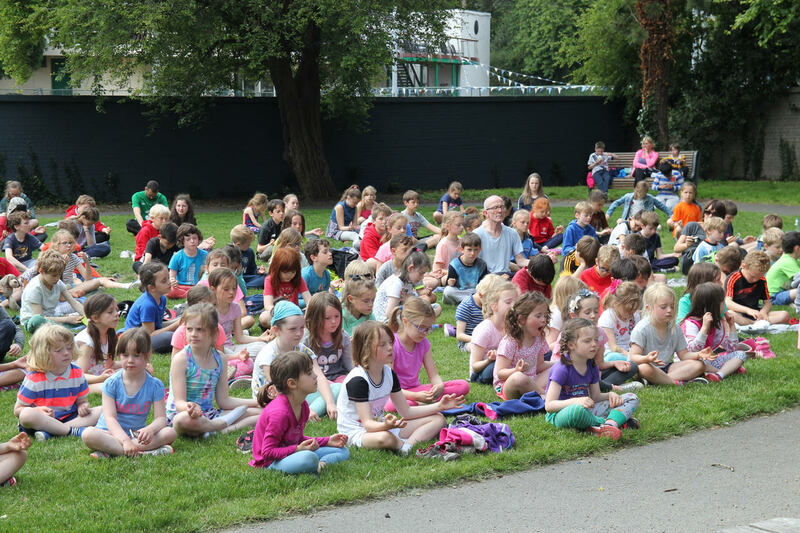 Thanks to your fundraising efforts and voluntary contributions over the year, we will be purchasing new tables and chairs for Rang 3, Rang 4, Rang 5 and Rang 6 over the summer. If anyone would like any of the old chairs or tables, they will be available for collection from the office during the first week of July (3rd – 7th July). You can arrange collection times by ringing the office. You can take as many as you like and tell your friends as well! I will leave some out next week for you to see what we have. School will close for the summer on Friday, 30th June at midday. Our thoughts and sympathies are with the family, friends and school community of Pádraic Carney, the principal of St. Louis Senior School in Rathmines who passed away tragically following a road accident. Ar dheis Dé go raibh a anam dílis. And finally, congratulations to Paul Fairbrother on his new appointment as Deputy Principal of RMDS. Paul has worked in RMDS for 18 years and already does so much for the school. We look forward to him taking up his new role in the Autumn. 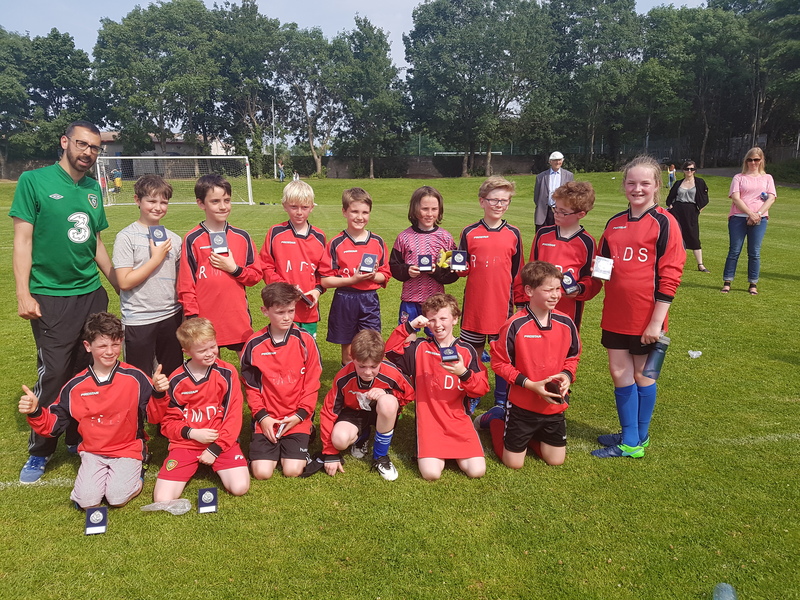 Well done to RMDS who played their hearts out in the Mortons Cup last week! They were defeated in the final. However, they showed great heart and determination throughout! Well done! It’s been a fantastic season for RMDS soccer with our Senior Team winning the League, and reaching the Cup quarter finals, and our Junior Team reaching the Plate final. This year marked the first year that there has been two RMDS teams represented in the Inter Primary School competition and they both performed admirably. Pre-season was tricky for the Senior Team and while they wobbled the Junior Team shone. Indeed, the Junior Team was exceptional throughout the season and similar to the Mighty Hungarian Magyers in 1954, they lost only one match all season. Unfortunately that match was our World Cup final. Having said that, the team battled until the end and did themselves proud. The Junior Team showed incredible team spirit and ability throughout the season and are an exciting prospect for next season. Turning to the Senior Team: After saying goodbye to a number of incredible Rang 6 footballers it was going to be tough to emulate the undefeated league season of ’15-16. In truth, there were many tough times during the season when all seemed lost: when we failed to beat Rathfarnham despite all our efforts and when we lost to Taney while playing the better football. The team, however, never stopped believing and produced some incredible football to blitz through the remaining teams in the league, all culminating in an amazing 2-1 win over Sandford in what was the league final. All in all a brilliant season as RMDS became back to back league champions and plate finalists. Our players played with respect and fair-play, encouraged each other and stayed positive throughout. We are sad to say goodbye to our excellent Rang 6 footballers, particularly the girls, but are looking forward to trying to make it 3 in a row next year! There are only a handful of places still available per week and it’s on a first come, first served basis with payment.